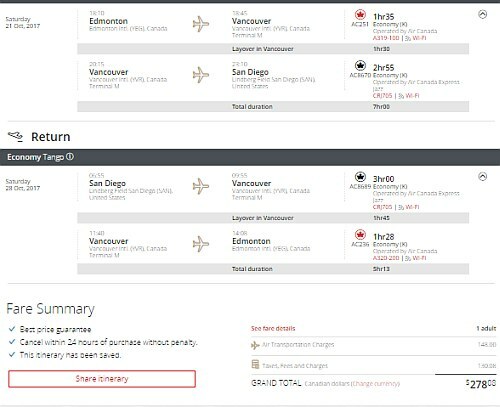 Air Canada, WestJet and Delta have dropped the price of some of their flights in 2018 from Edmonton to San Diego, California down to $273 CAD roundtrip including taxes. 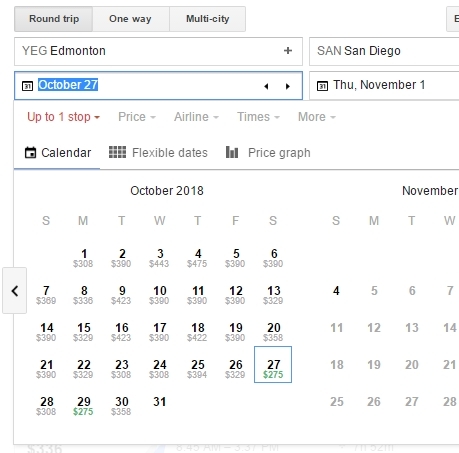 - Use the Google Flights links at the top of this blog post. edmonton, yeg, flight deals, united states, air canada, delta, california, north america, san diego and san.